Description: Please refer to the information below for details. 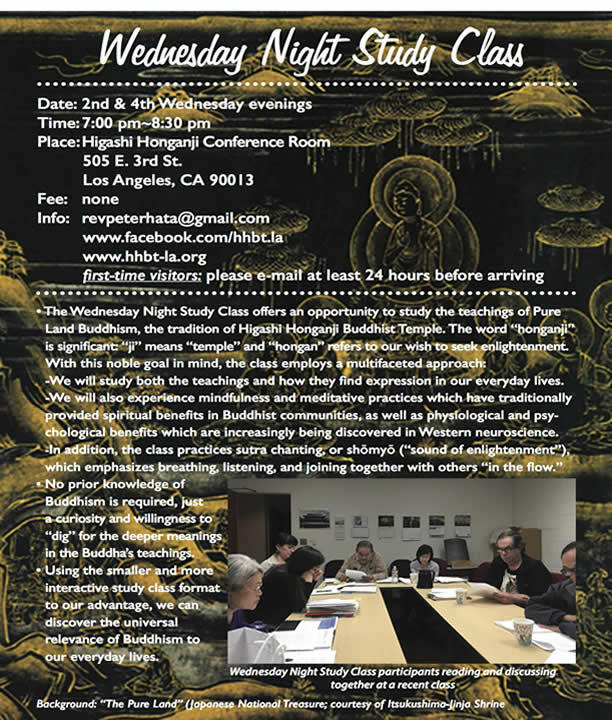 The class meets on the 2nd & 4th Wednesday of the month, free of charge, and is led by Rev. Peter Hata. Please come join us! 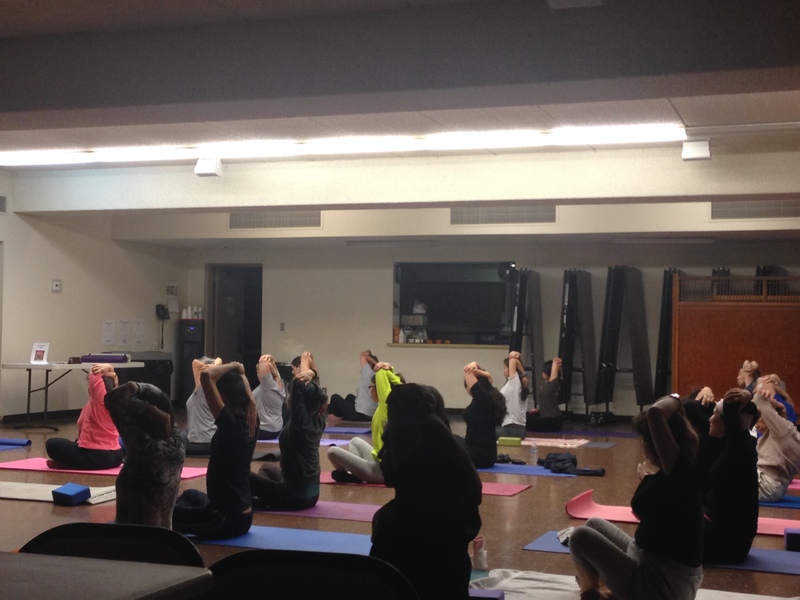 Description: Please join us for Yoga every Wednesday from 6:15 to 7:15 pm downstairs in the Social Hall. 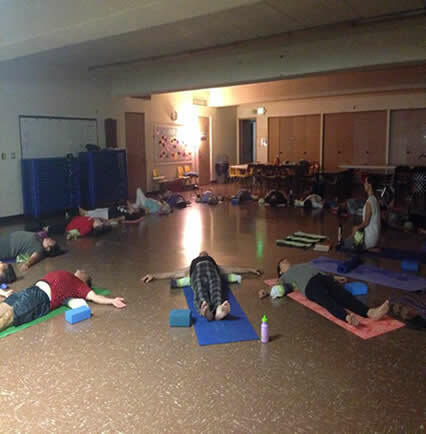 Enjoy a relaxing gentle yoga class that includes supported yoga poses, light healing meditations, calming breathing exercises and revitalizing visualizations. 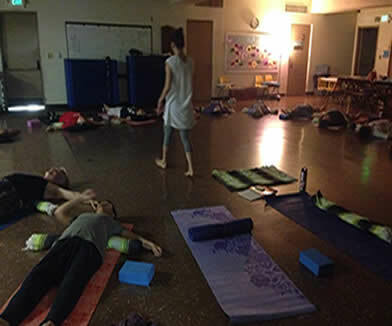 Comfortable clothing is suggested and mats are available if you would like to check one out. 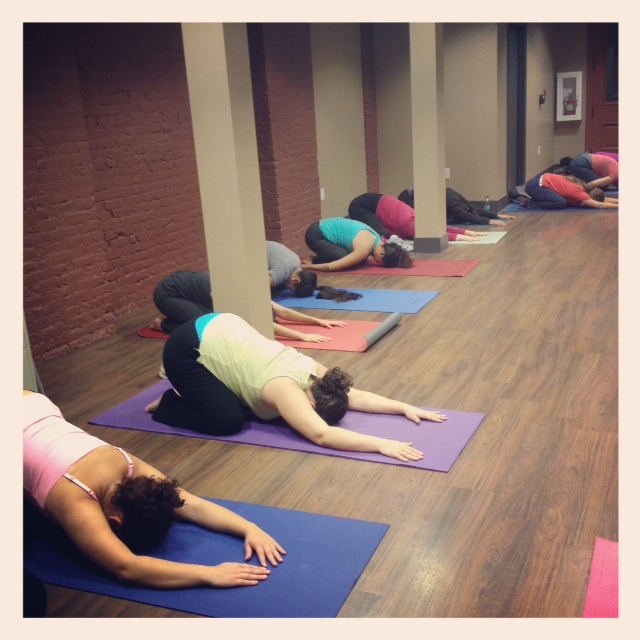 Class ranges from beginner to intermediate yoga. Class donation is $5. The class will be led by Brenda Mah. 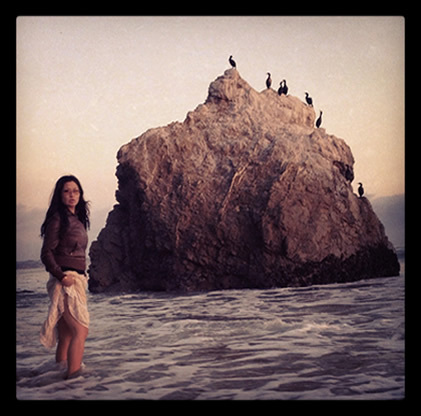 Brenda took her first yoga class in 1997 in the lineage of T. Krishnamacharya. Since her first class, she felt the soothing and calming effects of this ancient and powerful tool and wanted to make it accessible to anyone interested in more peace of mind and clarity to navigate life. She has 500 hours of yoga training from The Breathing Space. 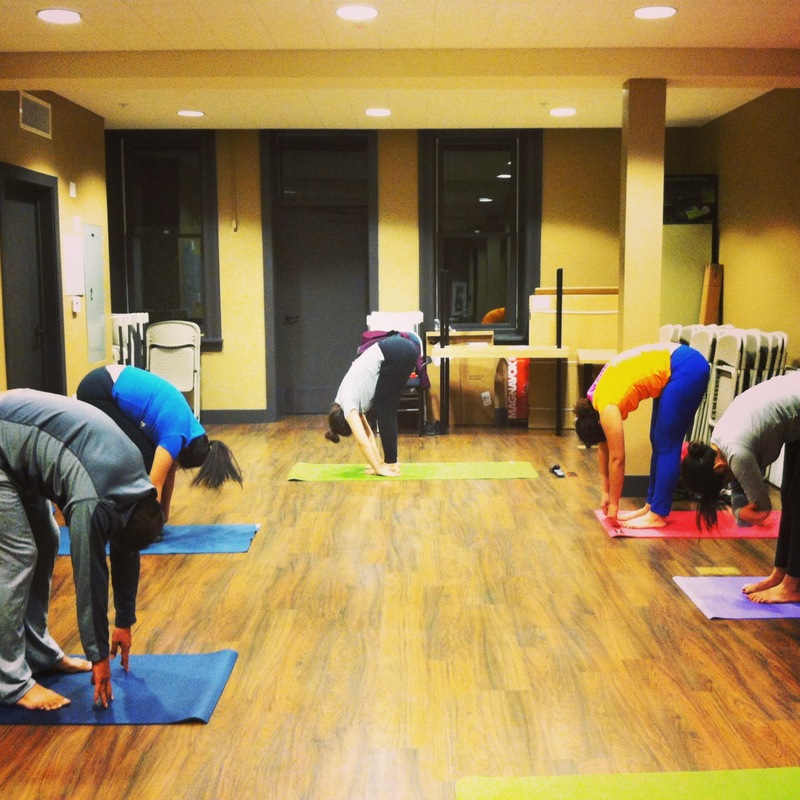 In addition to teaching at People’s Yoga, Brenda also offers private yoga instruction for any students interested in deepening and taking their new or existing yoga practice to the next level. Additionally, Brenda graduated from the University of California Los Angeles (UCLA) with a Bachelors Degree in Sociology and a minor in Women’s Studies. In 2006 she created “Be goods,” a line of raw, organic, vegan and gluten-free sweets and savories. 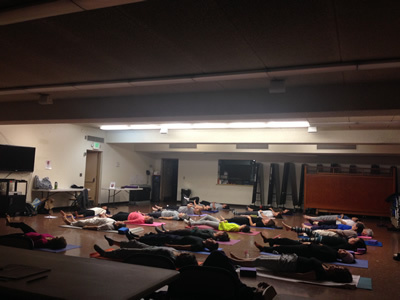 Please join us for a relaxing hour of yoga in Little Tokyo! 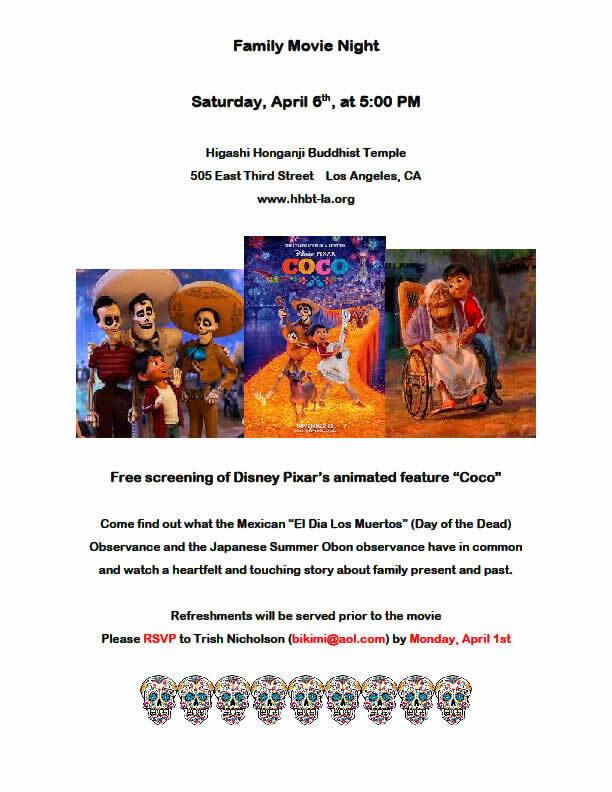 For more information, please call Sharilynn Jung at (213) 222-8676. 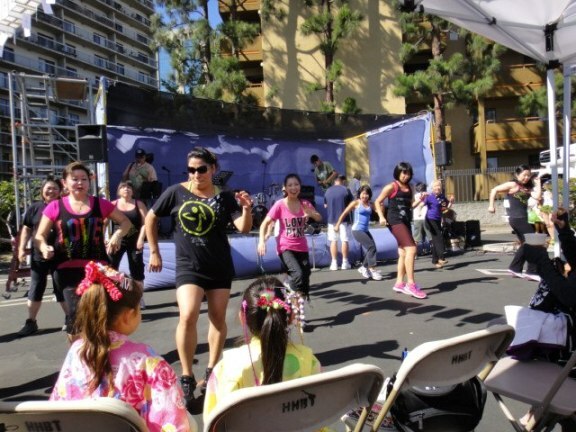 Description: Obon has concluded, but Bon Odori will continue, so please join us for Bon Odori Aerobics. 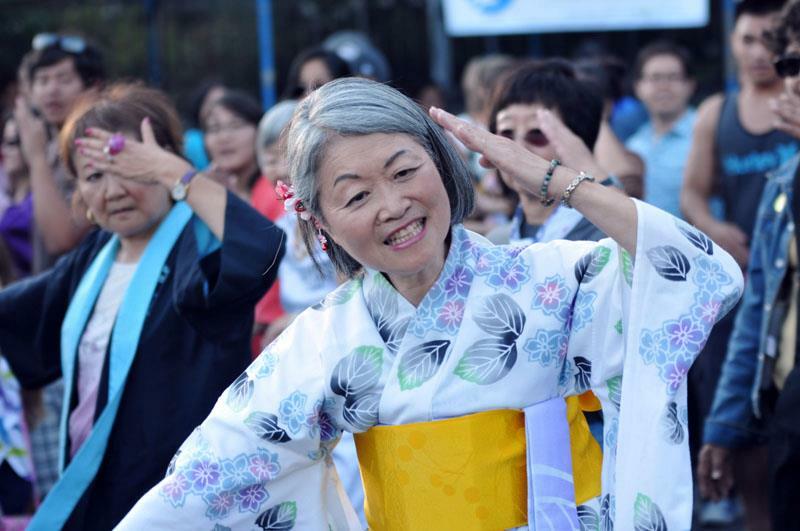 Trish Nicholson will again lead the class as we’ll practice some old odori favorites, learn new ones, and have a great time socializing with old and new friends. Trish will hold classes throughout the year, so check back periodically. 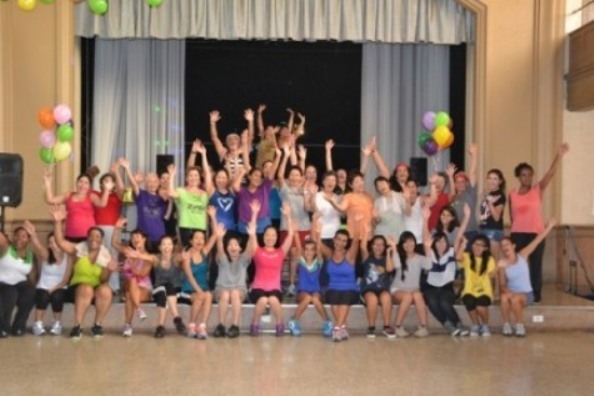 Description: Please join us for Zumba on Tuesdays and Fridays from 6:30pm – 7:30pm in the social hall. 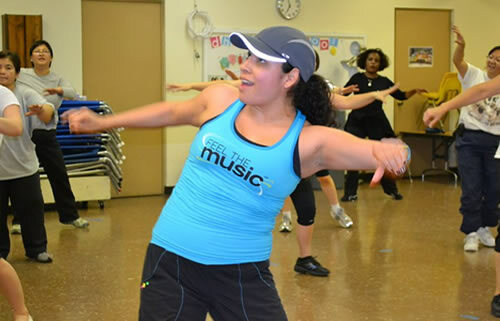 Hi, my name is Nelly Villegas Martin and I love teaching Zumba! 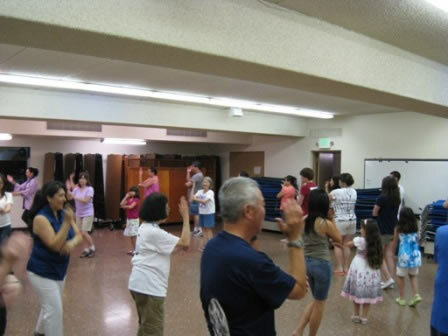 I’ve been teaching Zumba for over 7 years here at Higashi. I love dancing, while at the same time, getting a great work out. 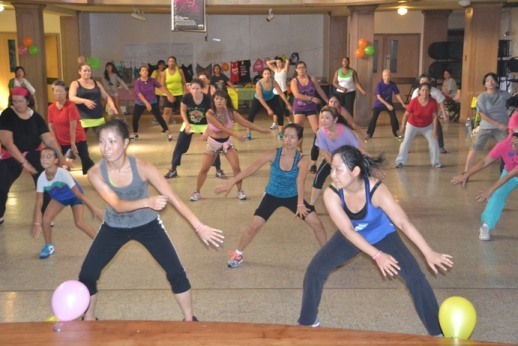 Zumba is a Latin-inspired dance fitness program that involves dance and aerobic movements. 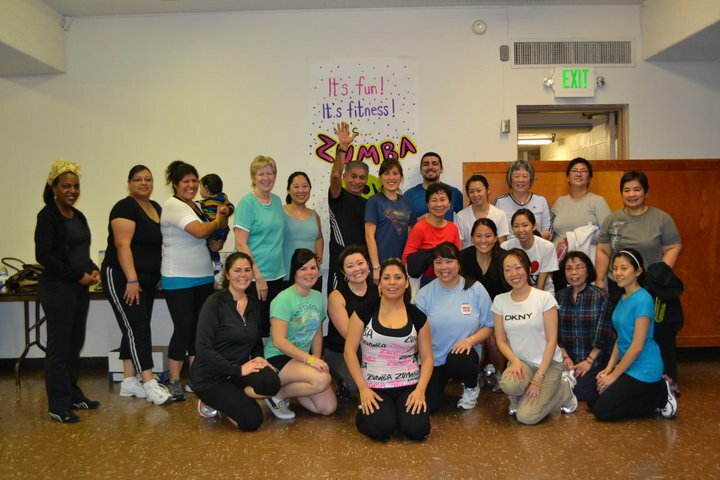 It’s a great way to get in shape, burn some calories, and meet new and old friends. So come on out for an hour of great cardio, fun dance moves and socializing! Wear comfortable clothing and be ready to SWEAT!